Samuel Jack Mourich passed away August 2nd, 2018 at the Jensen Cottage on St. John’s campus in Billings. Sam was born March 24, 1930 and raised in Bearcreek, MT. He grew up through the great depression, WWII, and then lost his father, uncle and grandfather in the Smith Mine Disaster just short of his 13th birthday. No need to wonder why he was resourceful, frugal, persistent, took care of those close to him, made a point of enjoying the every day, simple pleasures of life, and found ways to give back throughout his long life. He seldom complained about anything – except other people’s driving! Sam married his high school sweetheart, Jessie Cameron, and they were blessed to enjoy almost 66 years of marriage before she passed. They settled in Laurel after he served as an electrician on the USS Valley Forge during the Korean War. He worked at the CHS Refinery for 37 years, retiring as Supervisor of the Electrical and Instrumentation Department in 1992. Sam and Jessie were active members of the Laurel United Methodist Church for over 50 years. Lord knows how many Methodist Men’s Annual Chili Supper tickets Sam sold over the years. He was also a Mason and member of the Scottish Rite, Albedoo Shrine, and GI Drill Squad. He became known around Laurel as “The Onion Guy”, selling and delivering many bags of Vidalia Onions to raise funds for Shriners Childrens Hospital. 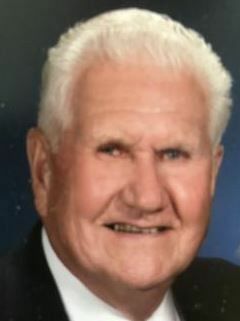 He was also civic minded, serving six years on the Laurel School Board, including a term as Chairman, along with serving the Board of Directors of the Laurel Federal Credit Union, now Altana, for 30 years. Sam had a green thumb, and loved to garden. He raised produce for his family and anyone else who wanted any of the many things he grew. He also enjoyed putting on his waders to fish streams and mountain lakes, along with hunting pheasant, deer and elk (for which he never filled a tag, and never gave up trying). He was preceded in death by his parents, Jean and Jack, step-father Poly, brother Donald, wife Jessie, and son Roger. He is survived by his son Jim (Terri) Mourich of Billings, daughter-in-law JoAnn Mourich of Laurel, 6 grandchildren - Kevin (Sandra) Mourich, Gerry (Trisha) Mourich, Andy (Adriana) Mourich, Donielle (Jeremy) Engebretson, Samantha (Mitch) Kiven, and Brandon Mourich, along with 12 great-grandchildren. The family would like to thank the staff and caregivers at Morningstar Senior Living, and St. John’s Jensen Cottage for their warmth and heartfelt care. They both go above and beyond to create a sense of community for their residents. Services will be held at Laurel United Methodist Church at 10:30 a.m. on Wednesday, August 15. A luncheon will be served following the memorial service. Memorials can be sent to either The Albedoo Shrine HPTF (Hospital Patient Transportation Fund), 1125 Broadwater Ave. Billings, MT 59102, or the Laurel United Methodist Church, 307 West 4th Street, Laurel, MT 59044.